About Stuart A. Kauffman, D.O. Stuart A. Kauffman, DO, is an experienced board-certified family physician and osteopathic medicine specialist in Huntingdon Valley, Pennsylvania.  As an expert in platelet-rich plasma (PRP) and stem cell therapy, Dr. Kauffman offers solutions for chronic pain, hair loss, skin concerns, and sports injuries at PRP in Philadelphia. Dr. Kauffman began his education at Lehigh University in Bethlehem, Pennsylvania, where he graduated with his pre-medical bachelor’s degree. He then went on to earn his doctorate in osteopathic medicine from Philadelphia College of Osteopathic Medicine. Dr. Kauffman followed that with a three-year residency in family practice and primary care, urgent care medicine, and osteopathic medicine. For more than 20 years, Dr. Kauffman has been practicing primary care, urgent care, and pain management. He became interested in PRP and stem cell therapies because of their higher level of safety compared to the risks associated with opioid pain medications and orthopedic surgeries. He believes that conservative care can provide significant benefits for most patients so they can avoid further intervention with pain medications or surgery. Dr. Kauffman started his alternative pain practice using prolotherapy. As technology advanced, he began to provide PRP and stem cell therapy to his patients. Outside of practice, Dr. Kauffman is a husband and father of five. He also enjoys golfing and following his favorite Philadelphia sports teams. Dr. Kauffman is currently accepting new patients. "I tried a combination of PRP and Stem cell therapy with Dr. Kaufman. In less than 2 months, the pain relief is noticeable and I feel confident during weight training." "It has been almost 3 months since my PRP treatment for my degenerative disc. I've felt a 70% improvement in my overall pain level, I'm back to doing whatever I want now"
"Dr. Kauffman is one of the best doctors by far and his staff is the most kindest, nicest, sweetest young women I've dealt with before." " Dr. Kauffman is an old-fashioned doctor in manner and philosophy. He is brilliant in almost every area of medicine, including what lies on the cutting edge."